All the Beer! 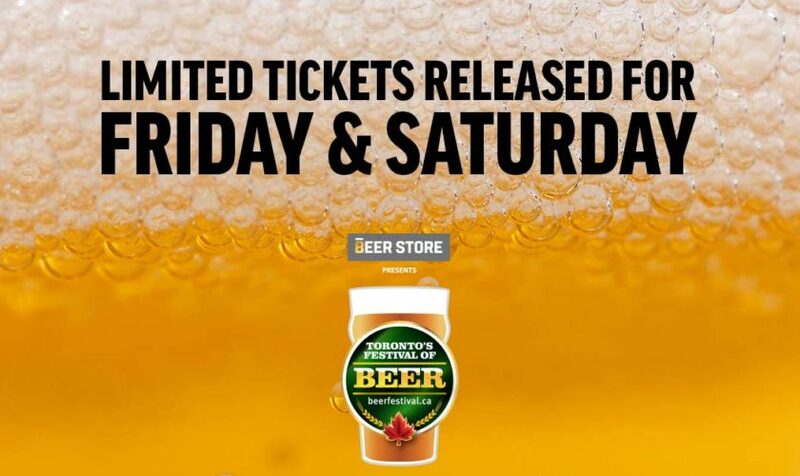 Well, not all of it, but a lot of it will be at Toronto’s Festival of Beer presented by the Beer Store. 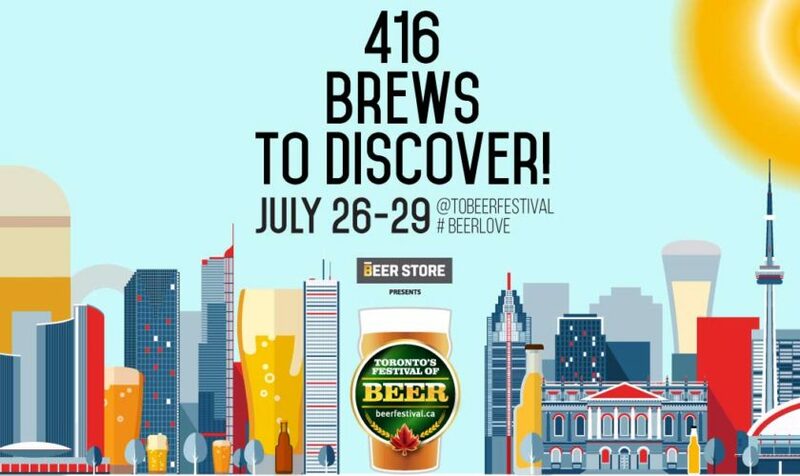 Super pumped to share that 416 brews will be available at TFOB 2018. 90+ brewers will be bringing their product to the people from July 26-29 at Bandshell Park, Exhibition Place. It’s all about discovery and we hope you discover your next ‘go-to’ or re-discover a past favourite. We listed out most of the brewers below, but please keep in mind we are always adding to the list! 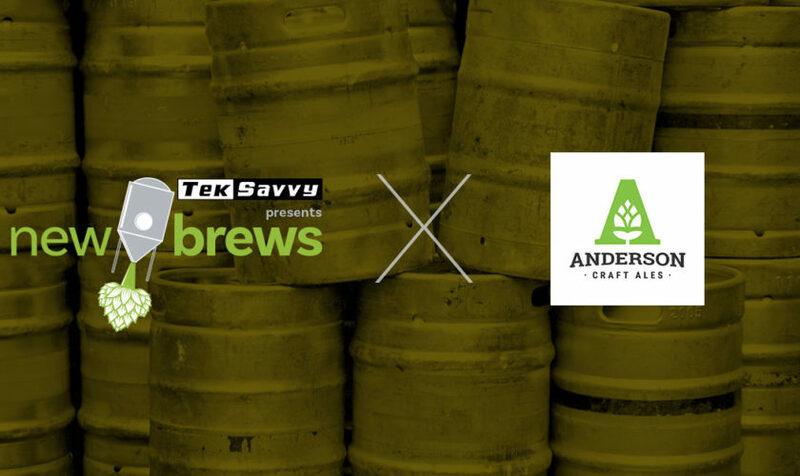 Saulter Street Brewery – Anderson Craft Ales – Glutenberg Craft Brewery – Tobermory Brewing Co. – Power House Brewing Co. – Fenelon Falls Brewing Co. – OverHop Brewing – William Street Beer Co. – Skeleton Park Brewery – Trail’s End Brewing Co. – Midtown Brewing Company – GoodLot Farmstead Brewing Co.
555 Brewing Co. – Amsterdam Brewing Co. – Beau’s All Natural Brewing – Cowbell Brewing Co. – The Granite Brewery – Wellington Brewery – SweetGrass Brewing Co. – Muddy York Brewing Co. – Forked River Brewing Co. – Overhop Brewing Co.
Beau’s All Natural Brewing -Amsterdam Brewing Co. – Left Field Brewery – Block Three Brewing Co. – Elora Brewing Co. – Flying Monkeys Brewing Co. – Forked River Brewing Co. – Muddy York Brewing Co. – Side Launch Brewing Co. – Great Lakes Brewery – Redline Brewing Co. – Northern Maverick Brewing Co. – and The Six Brewing Co.
Beer discovery is the most important part of Toronto’s Festival of Beer. We offer hundreds of brews to try: some you have heard of, and some maybe not. 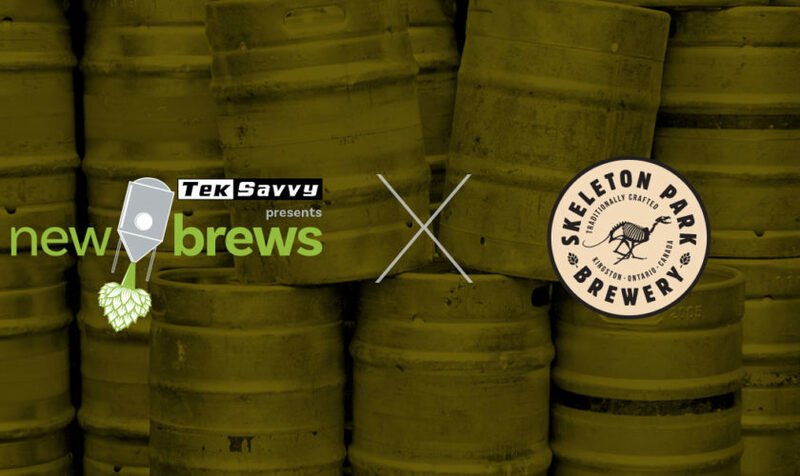 We have created the New Brews presented by TekSavvy programme to do two things: 1) Allow brewers who have never been to our event the chance to feature their product to the masses. 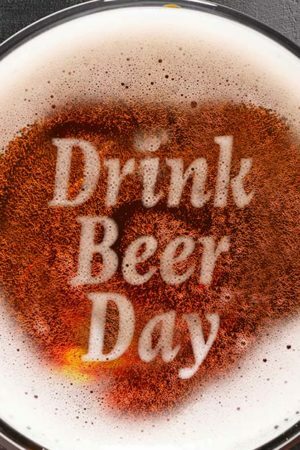 2) Allow beer lovers the chance to discover new brews. What made you want to become a brewer? Tell your story! We’ve always been in love with the craft brewing culture. The support between breweries, the commitment to community, and the sheer passion behind those who love to make beer! We wanted to build a brewery so that we can foster and advocate for creative local culture, as well as continue the rich brewing heritage of our area… While we’re at it, we want to make beer we can be proud of. What kind of beers will you be bringing to TFOB 2018? If you have tasting notes that you could share with fans, it will paint a picture of what they can expect? We are bringing two of our beers with us to TFOB with emphasis on drinkability. First, we’ll have our Grand Valley Pilsner, which was designed to have a robust, malt forward profile with a clean finish. It’s an über crushable beer that celebrates the German style, while adhering to the tradition of using only local ingredients. The second beer is a cousin to the pilsner; the Iron Horse Schwarz Lager. The core of this beer is in the pilsner family, but some late addition black malt, gives it a dry cocoa flavour. We call this brew our gateway dark lager as its smooth, crisp finish gives the traditional ‘lager’ drinker something familiar. 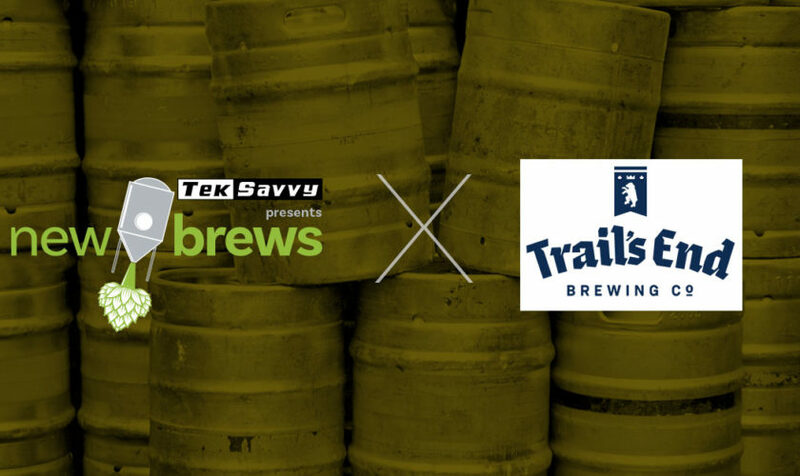 1% of each sale of these beers supports trail maintenance and development along the Grand River trail network. What are you most excited about participating at TFOB 2018? LUDA! Sorry, that was Jon. 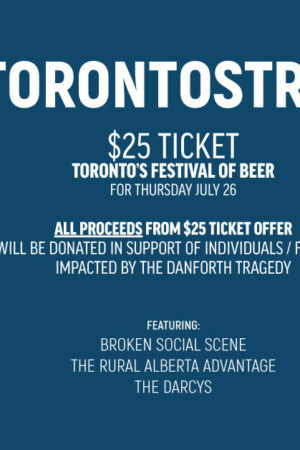 WE are most looking forward to meeting the beer fans in GTA as this is our first large event outside of our Southwestern Ontario community. We love getting feedback and seeing TO’s reactions to our beer directly. When you put so much work into creating something, it’s gratifying to see the community enjoying it. Where can people find more information about your brewery, other brews you are making, etc? 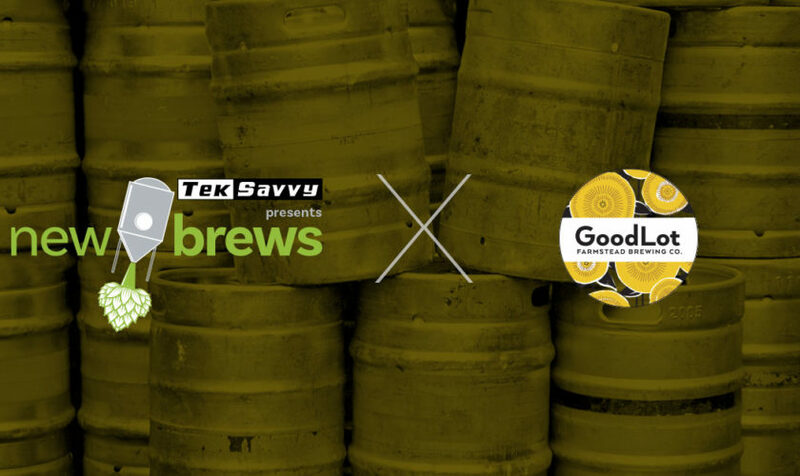 Make sure you check out the New Brews presented by TekSavvy on-site at TFOB 2018. There will be 12 brewers showcasing the fruits of their labour, along with free WiFi for beer lovers to share their discoveries. We will feature each brewer leading up to TFOB 2018. And yes, the New Brews presented by TekSavvy pavilion will be on-site for all four days of TFOB. Confounders Julien Niquet and David Cayer initially came up with the idea of brewing a gluten-free beer in 2011. Julien, an entrepreneur at heart, had always dreamed of leading his own company. Diagnosed with celiac disease a decade earlier and completely appalled by what the market had to offer in terms of gluten-free beers, he and David saw a unique opportunity to fulfill an ever-growing need. 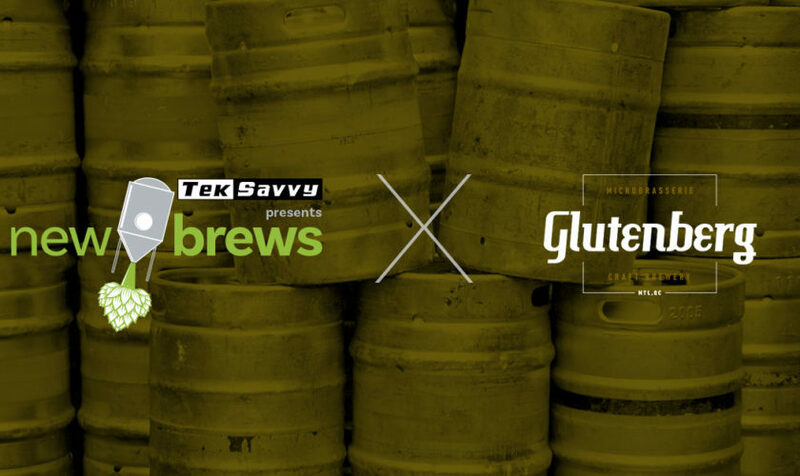 We are excited to be showcasing two styles, Glutenberg Blonde and Glutenberg IPA. Glutenberg’s Blonde is the proud originator of the series, the pioneer of real good gluten-free beer. Airy and lemony, this thirst-quenching beer reveals floral and lightly herbal notes, making room for a dry and tasty finale. Glutenberg’s IPA is a dream come true for craft beer fans. A true little bomb of flavours,it presents a perfect harmony between citrus aroma, hop freshness and bitterness. It guarantees a soft contact with taste buds, releasing apricot and soft caramel notes. Its exacerbated dry side makes its bouquet of flavours shine and ensures its good aromatic persistence. We are very excited about meeting beer enthusiasts from around the world and having them try our delicious 100% Gluten free beers! I love beer. Brewing is a good way to combine science with creativity. It’s really fun to do. We will be bring our Cream Ale and IPA. Our Cream Ale is clean and refreshing with a crisp finish. Our IPA is hop forward with a complex bouquet of bright citrus, melon, stone fruit and floral notes, supported by a subtle malt backbone. I’m most excited about introducing our beer to people who haven’t had it before. Our beer is new to the Toronto area. People can find us at www.andersoncraftales.com, @andersoncraftales on Instagram, @andersoncales on Twitter and Anderson Craft Ales on Facebook. We started as homebrewers and we were amazed by everything related to the process of making beer. We added that to our business background and OverHop was born. We are gypsy brewers, the only ones producing locally in Quebec, Ontario and Rio de Janeiro. We’re passionate about the craft beer revolution and everything that is related to it! 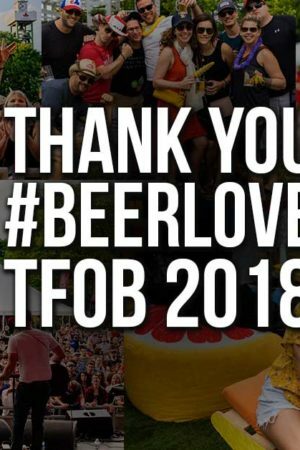 What kind of beer(s) will you be bringing to TFOB 2018? If you have tasting notes that you could share with fans, it will help paint a picture of what they can expect? Hazy is a New England IPA with 6,5 ABV and 50 IBU. It pours a super juicy cloudy gold. It has notes of passion fruit, pineapple, star fruit and grapefruit on the nose. Very smooth on the sip with a bitterness of grapefruit and orange zest, and a slight mango juiciness. OneLove is a Double IPA with 9%ABV and 90 IBU. It pours a deep copper color with a thick white head. It has notes of pine, orange and grapefruit on the nose that matches to the taste. On the sip, these notes are perfectly combined with the toasted malt body. We’re very excited for this festival being in the heart of the city we live and love and also because of the cool attractions and great vibe it always has! We used to be customers, now we’re featuring our brewery to the public. What an honor! 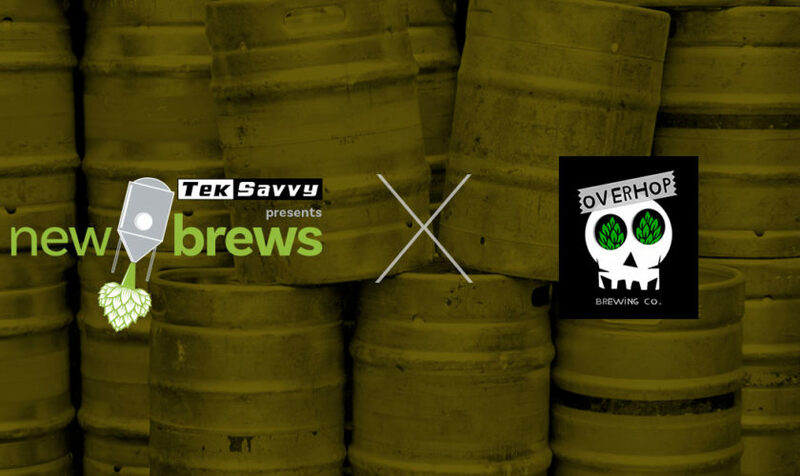 We are big Instagram users (@overhopcanada) but you can also follow us on Facebook and check our website at www.overhop.com. 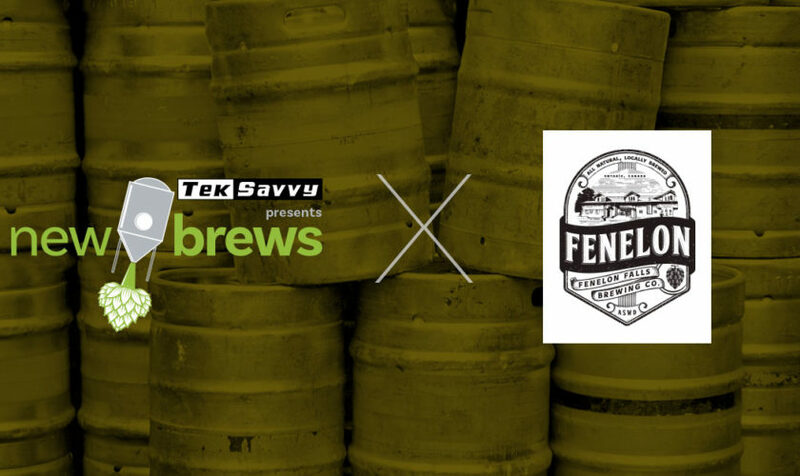 The TekSavvy Tap Series with Fenelon Falls Brewing Co.
Fenelon Falls Brewing Co. was founded by my wife and I. I immigrated to Canada in the 1970s, arriving in Fenelon Falls not knowing a soul, a word of English, or really having a place that felt like home. That didn’t last long. The town welcomed my family unequivocally in every way. Fenelon Falls Brewing Co. is an expression of all of that—accepting opportunities, and applying the effort necessary to put a bit of good into the world. It’s a way of saying thanks, playing part in the life of the community, and paying forward the tradition of hospitality that has meant so much to us. Our brewery offers handcrafted premium beer made in small batches. Our brewing philosophy is to keep our ingredients simple and our processes to a minimum to make beer that allows the flavours and aromas to shine through. Of course, all our beer is brewed with no additives and no preservatives. The way it should be. Fenelon Falls is known as the jewel of the Kawarthas, and we’re extremely excited to showcase what Fenelon has to offer. We’ll be operational in September and invite you to drop by, sample flavours exclusively available in our taproom and see where the beer is made. Come by boat, car, bus, bike, or foot. The town is always here to welcome you! Gail and Phil established GoodLot Farm in Caledon in 2010 (originally as Winterbrook Hops), supplying fresh organic Ontario hops to great craft brewers across the Province. In 2016, we changed our name to better reflect our land and community, and launched GoodLot Farm and Farmstead Brewing Company. In 2017, we became the first farm-to-barrel brewery in the Greenbelt, featuring fresh, hyper-local beer using ingredients raised on our own farm, and those of neighbouring farms. Our new on-farm brewery is a natural extension of our organic farm practice. We embrace a holistic approach to agriculture to produce quality, nutrient-dense ingredients. Our beer, inspired by the Headwaters and Greenbelt region, embodies our values to protect our water, promote soil health and biodiversity, and whole-heartedly support our community in everything we do. We are bringing GoodLot Farmstead Ale (GoodLot Farm Pale Ale) – our first release is a smooth golden pale ale with tropical and stone fruit flavours, featuring our organic Cascade and Nugget hops, along with hops from two other Ontario hop farms – Tavistock Hops and Clear Valley Hops. 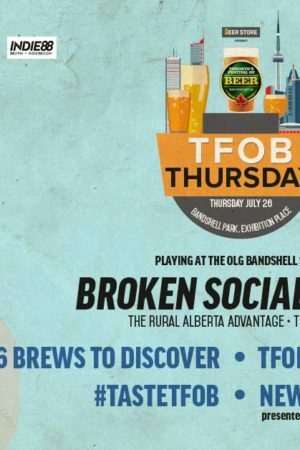 TFOB is such a great and legendary event – one of the oldest and premier craft beer events of the year. 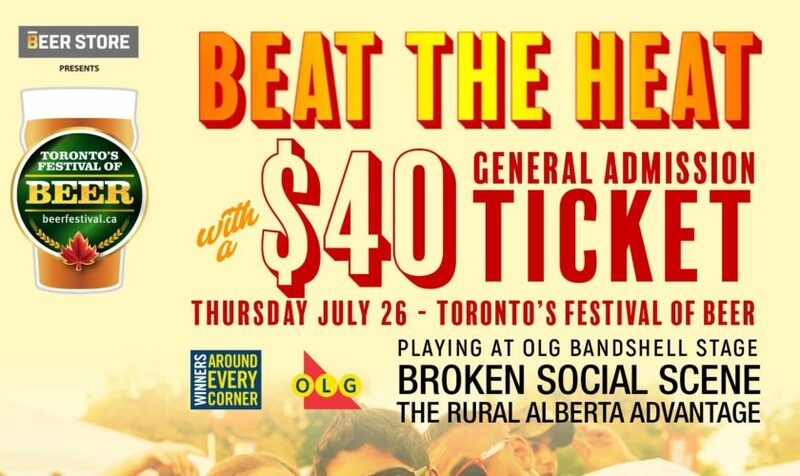 Between the great music and people, it is a great place to enjoy and support your favourite local breweries. 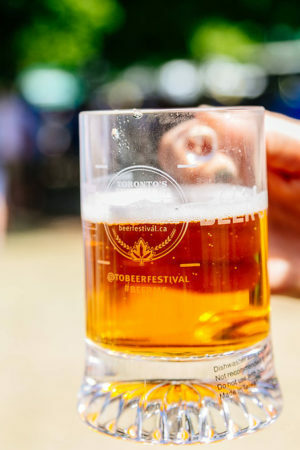 Participating in the new brewery tent is going to be so much fun, and we cant wait to meet the people and try the beer from other new Ontario craft breweries hanging in the tent. Great questions. www.GoodLot.Beer is a good place to start. We will be opening the farm and our solar powered brewery to the public this summer, so come up and learn more while you drink beer and wander the hop yard in the beautiful Greenbelt and Headwaters region of Caledon, ON. My story of becoming a brewer is an unusual one. While I was teaching overseas in Southern Asia, the city that I was living in had become a dry city. The mayor at the time had ordered for every bar and pub to be shut down. Me and a fried of mine, who both had a bit of brewing experience, decided to open up a little “hangout” for our friend and have fresh beer brewed available. We rented out a spot above a bustling night market and began brewing. Our little hangout got fairly popular and turned into somewhat of a speakeasy brewpub. For legal reasons we decided to move the business to Taipei where we could operate a little more legitimately. I then moved home to Canada to open my own brewery. We will be bringing our Amber 66 and our Proper English with us. 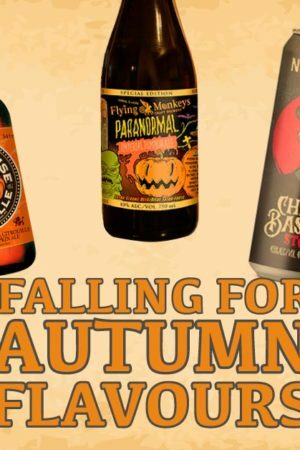 I’ve attached two flyers below with a description of the beer and the tasting notes. This well-balanced European-style amber ale is the flagship to our Heritage Series. Reminiscent of our time as an early nation, we have held true to the big bodied, high ABV ales that were very popular among the hard working men and women who helped Canada become what it is today. It is full bodied with a complex malt profile. Velvety and subtle. Notes of rye bread, cherry, and toast, with a warm highland whiskey finish. A true old-world ale. Vintage a vintage gets. This 150-year-old Extra Special Bitter recipe uses ingredients brought over from England by the United Empire Loyalists and still grown locally today. The simple complexity of this brilliant, golden ale recaptures a time of shared purpose and honest reward. Earthy and slightly floral on the nose with notes of Sauvignon blanc. A malty, biscuit and pie-crust body. Hints of hazelnut and caramel with a crisp, dry finish. Beer festivals are always fun. It’s great meeting new people in the industry along with other brewers and of course it’s always fun to meet some new fans of our products. More information about what we are all about can be found on our website www.skeletonpark.ca and on our social media pages; Facebook, Instagram and Twitter.